So here I sit. On Useful Island, in the middle of the Gerlache straight, Antarctica. Funny place to sit down and write- but I MUST tell you about this guy. 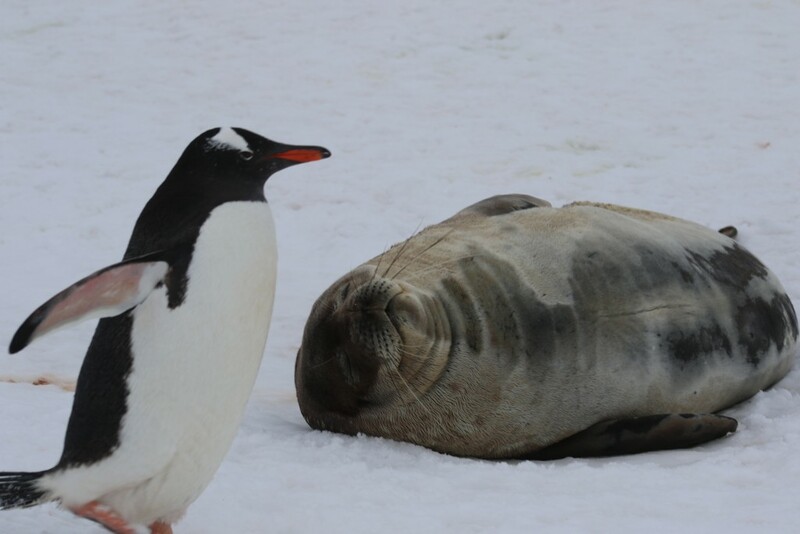 This is our final landing on an 11 day Antarctic peninsula cruise. It’s been a fantastic adventure, penguins, sea ice, huge icebergs, calm seas (yes I said calm seas!) and a heck of a lot of fun. 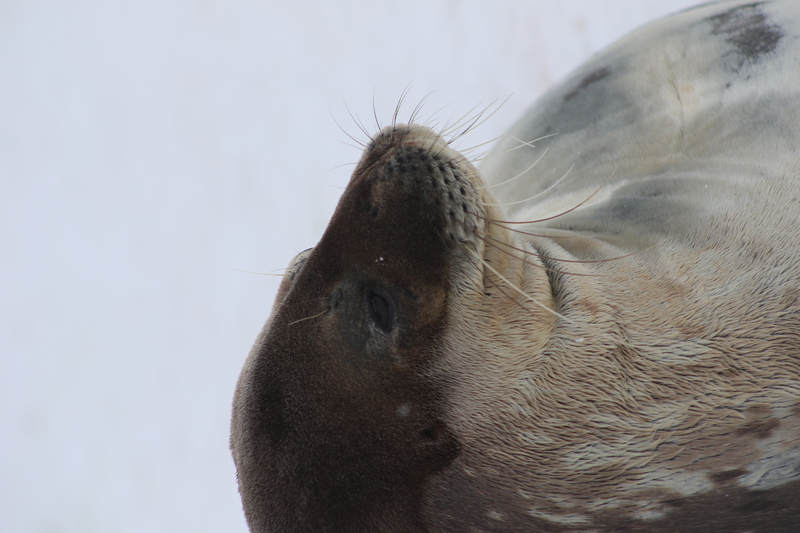 But this guy, I mean this guy is why I keep coming back to Antarctic. 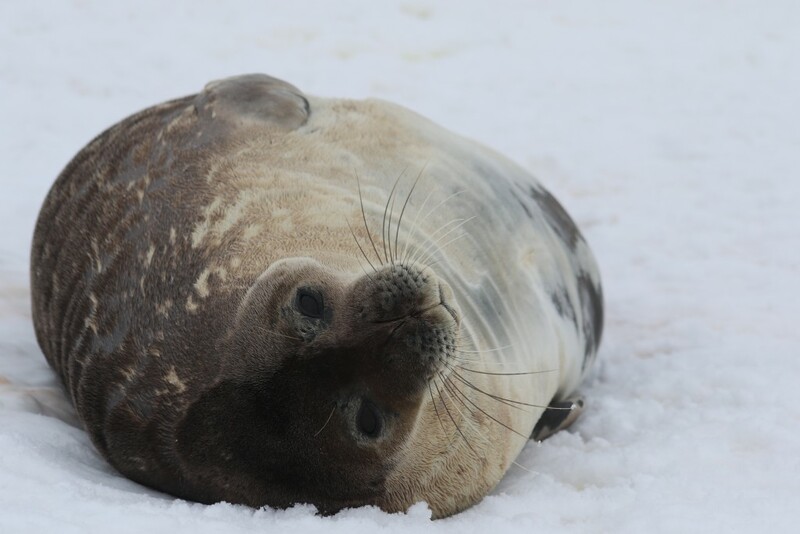 The Weddell Seal is probably the cutest seal down here, and here lies this guy, just about 5 metres away from where I am writing. His huge expressive eyes take an occasional glance over my way, but it’s just me and him, here on the ice, just occasionally we are interrupted by a disruptive Gentoo penguin clambering down to the waterside. He is almost perfect. Well designed to keep him insulated from the Antarctic chill, sleek enough to be fast in the water. Sharp, small teeth perfect for filtering out krill from the ocean and big eyes to help him see in the depths – often plunging up to 610 metres on a dive. I look closely at his feline whiskers and reminds me of the old tabby I had as a child.. Cute, yes he certainly is. But what is it about this animal that has me so fascinated? 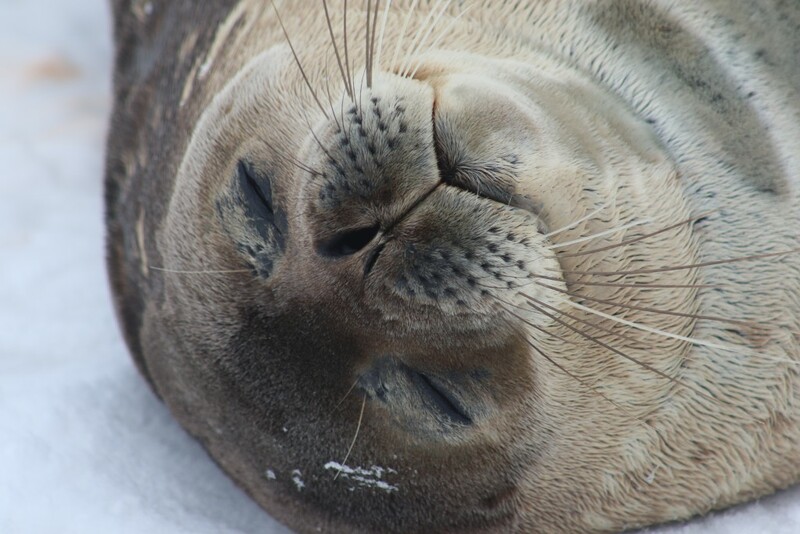 For me he represents Antarctica, this one cute little animal sums her up in all her glory. He is meant to be here, he belongs, In his eyes I see the sadness of the hunting and poaching days that very nearly wiped out his species, I see in his features his natural adaptation to this unique environment a testimony to the powers of nature , and through his happiness to keep me company I see the optimism we both share for the future of Antarctica.. this place is to share, to cherish and most importantly, to protect. Come and check him out, and you might just have a story to tell about this little guy too. 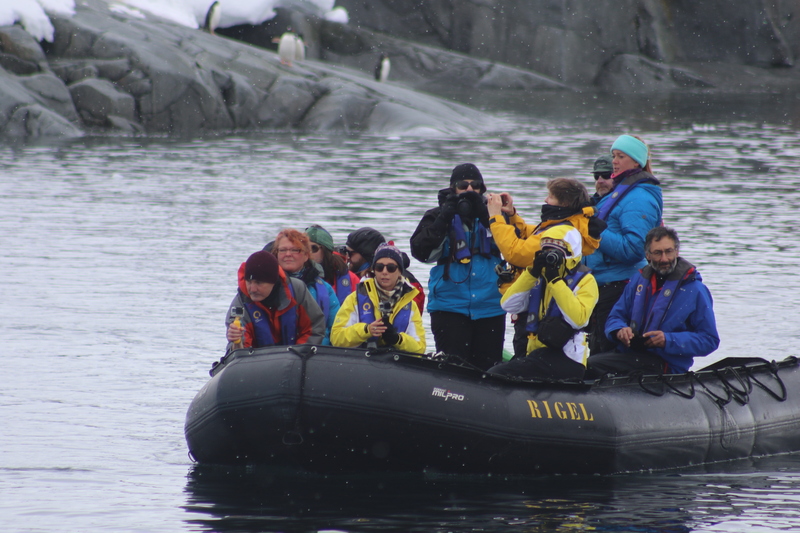 Greg was aboard Chimu Adventures’ charter PinKtarctica which raised much needed funds for the McGrath Foundation. Do you want to visit the white continent yourself? click here for more information and tours.